We recommend DomainOfficials.com for all your domain needs. A regular .com registration only costs $9.99 / year and includes over $141 of Free Extras! For the most bang for your buck, we recommend HostingOfficials' Linux-based hosting for your web site. The hosting plans start at $4.99 / month and included Unlimited Data and Unlimited Email accounts. You can create your site with their Online SiteBuilder or any of the popular HTML editors, such as WWB7 (see banner on left) or Microsoft FrontPage. 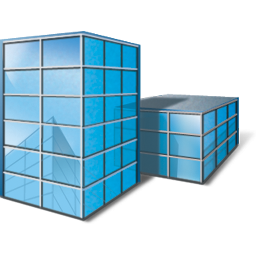 If you require Windows-based hosting, DomainOfficials.com has you covered! Park Your Domain to Earn Cash! One way to earn money with your domains is to just park them with a parking service like DomainApps.com. Domain Apps provides refreshingly unique domain monetization solutions. Based on the award-winning WhyPark platform first developed in 2006, Domain Apps takes domain monetization to the next level. As the first company to provide large-scale domain development, Domain Apps leverages automation, technology and human optimization to turn every domain into a rock star. From domain parking to customizable domain development, Domain Apps has a unique solution for each of your domains. DomainOfficials' sitebuilder is called Website Builder, which includes free web hosting! Choose from hundreds of gorgeous, professionally-designed templates.